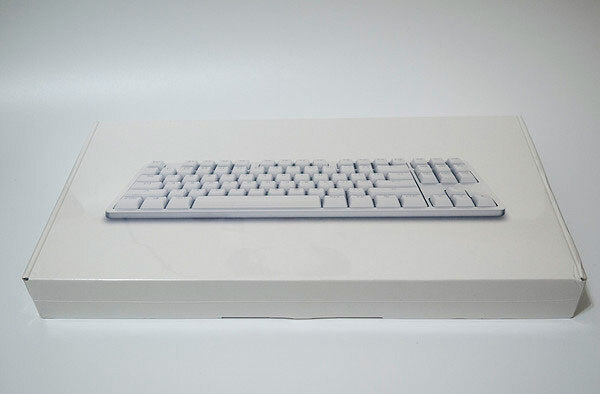 It is generally acknowledged that the launch of Yuemi keyboard marks XIAOMI`s foray into a new territory. A piece of high end PC peripheral for its own sake, the Yuemi is well made with ergonomic design and that`s where it excels. 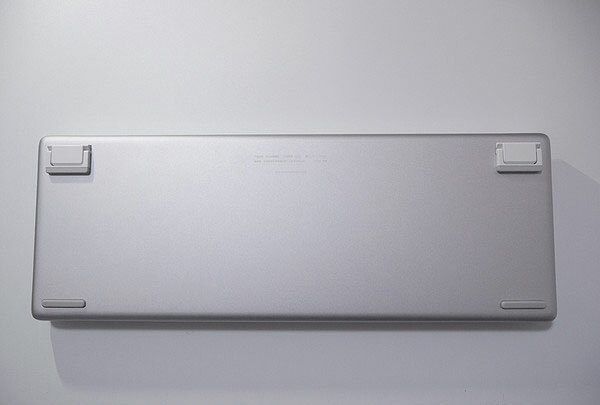 Meant to be a sturdy input device, the keyboard is made from metal as well as polycarbonate shells and settled with 87 keys sealed by 3528 LED lights for working in the dark. Despite the dedication to industrial design in the last couple of years, XIAOMI preferred white as the base color of almost all of its products. Topped by a frosted or sand blasted surface, they turn out to be restrained, and burst into life out of the blue with the Classic Orange spray coating. Breathtaking when LEDs OFF, heartbreaking when LEDs ON. 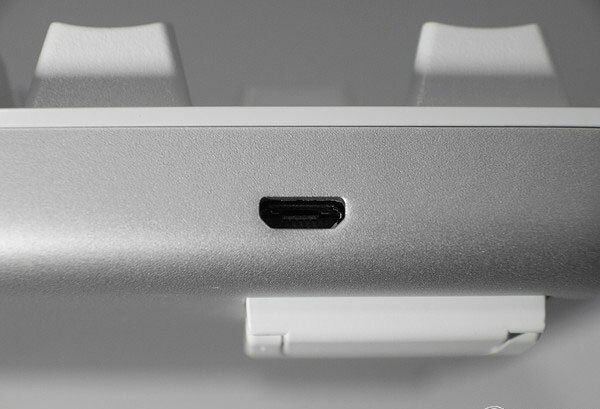 A huge bonus for gamers comes to that the 87 keys are neatly mapped out on a compact body with the absence of a numeric keypad, so that it appears to be smaller and leaves more space next to the keyboard for the mouse . To distinguish itself from the crowd, Yuemi applies traditional keyboard design with next to none space left at the sides. Surprisingly, it is given more weight than it looks – a total of 940 grams, seemingly light though. Delicate as it is, the kickstands at its bottom aim to elevate it up to an angle of 6-degrees. 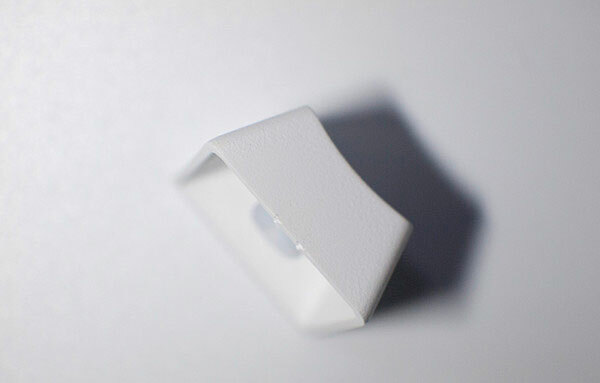 Not clinging to the back cover when folded, but they do characterize moderate thickness. More consideration has been taken on its aesthetic flavor, since the dismountable screws will be hidden ingeniously when the kickstands get closed. To meet the array of requirements above, polyurethane is opted for the bracket edge, this in turn adds up to the stability of the subject . Also sticking against the back cover are the rubber-made anti-slip strips. Wondering if the brackets can manage to stand up the test of violence. Back to the basics, Yuemi attached great importance on the materials. 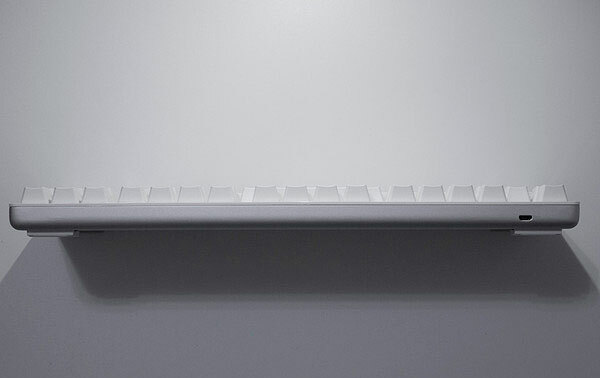 Without Any reservation, The 87 keys are all capped by aluminum alloy. Except for the audiophiles, it is what few of the others shall appreciate. 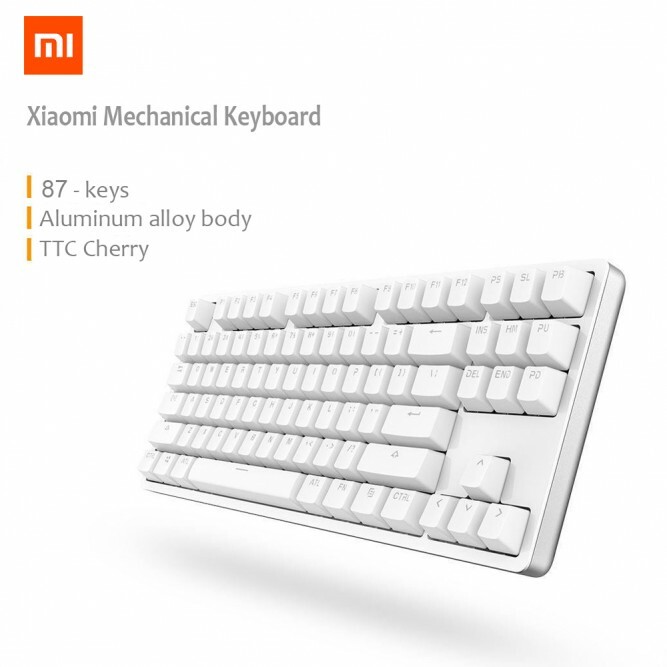 Aided by the aluminum alloy processing techniques accumulated by XIAOMI team, the keyboard intoxicated me at the first touch, if not poisoned. The keys have been aptly placed too with a thin line separating one from the other. 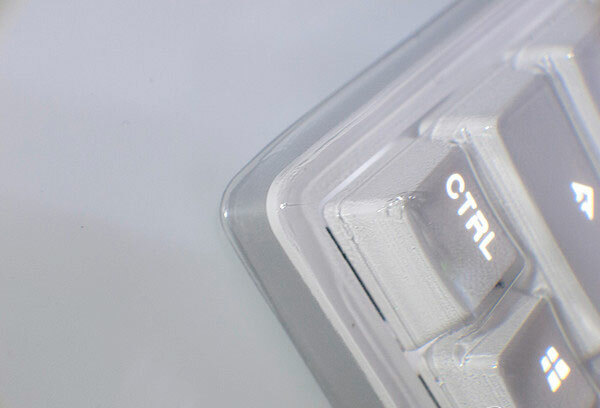 Close your eyes, feel the ice-cold aluminum alloy back lid, you can hardly believe that you are touching a keyboard. 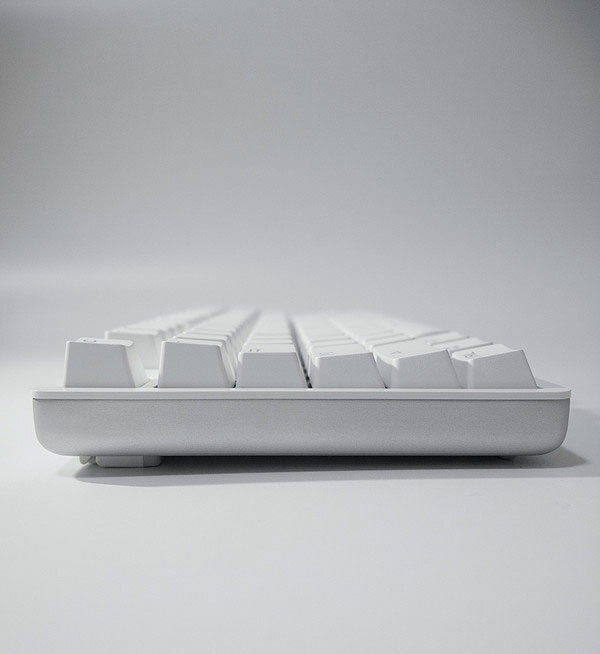 The polished surface might leave chances for scratch or finger prints, nonetheless, it contrasts sharply with the white key caps, meanwhile facilitating cleanup. 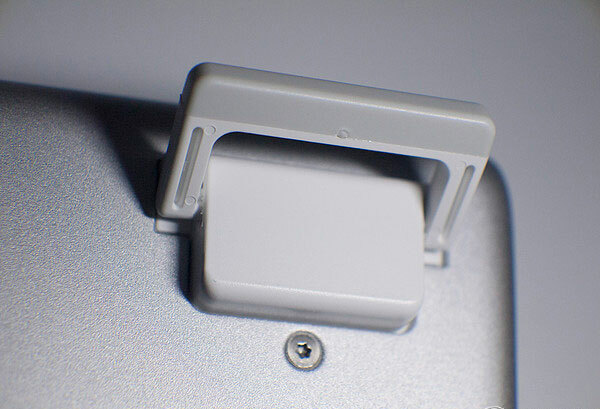 While the panel and back cover link up into an integrated whole, within the aluminum alloy back lid cups the invisible plastic frame. 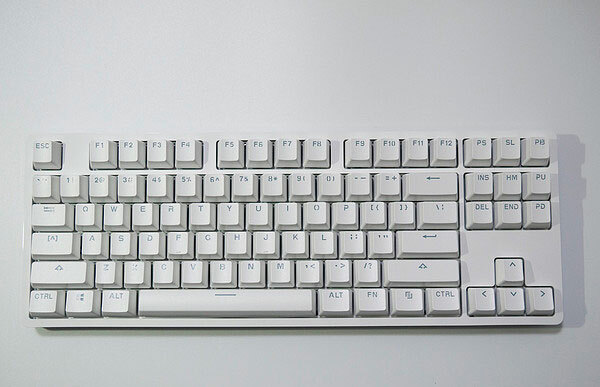 Apparently, the key caps are of OEM standard. Anyhow, we like the fonts and they certainly rewards Yuemi a stand-out exterior amidst the sea of anonymous keyboards available. Sized right and even in respective functional areas, the keyboard proves pleasing to my eyes (because I personally hate fonts with angular lines). 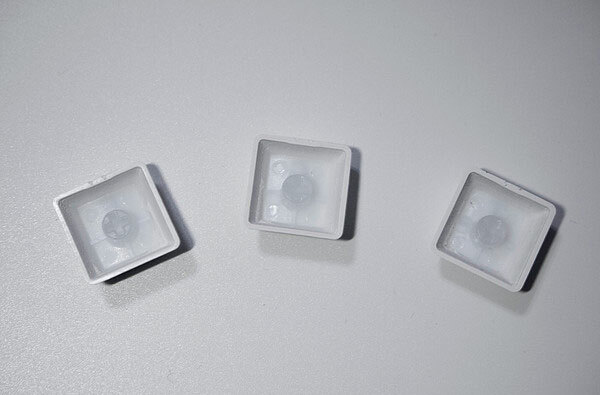 Up front, the key caps are made of translucent poly-carbonate + ABS resin and of average gauge, a touch feel similar to that of the ABS ones but easier to get scratched. 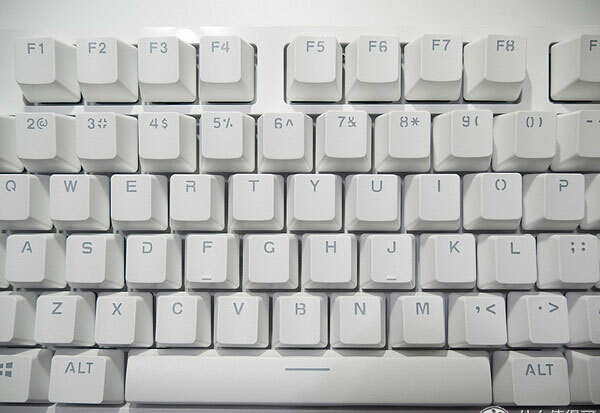 The characters printed on the keys are wear resistant and the caps replaceable, allowing owners customize it to their preference. It is worth noting that the big keys from XIAOMI are the toughest I ever experienced, they are simply too tight! 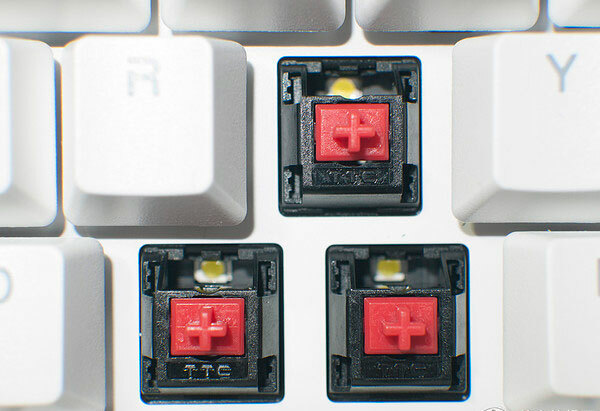 Nevertheless, the key caps can be restored back into their original form. 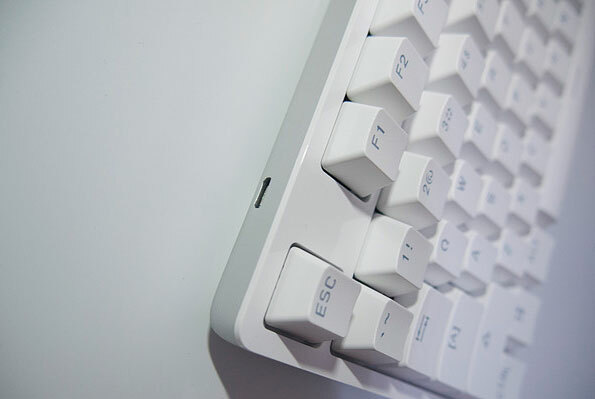 You can`t be too careful to draw the key caps, due to the fact that the sole-plate is vulnerable to scratches. Steel wired drawing tools are highly recommended. What is striking about this product is that the nozzle under the key cap is flawlessly handled, the best ever. 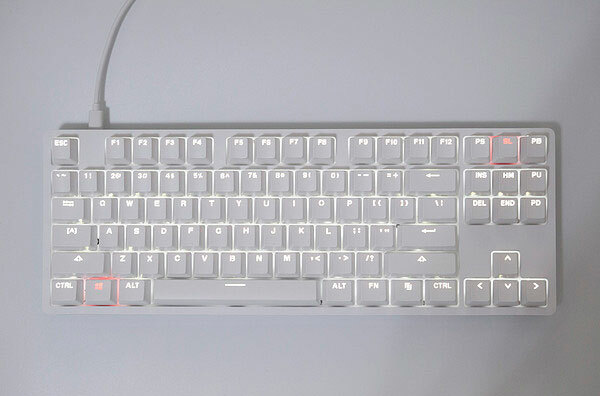 That aside, all the key caps are intended for homogeneous emission while LED lights on. Premium materials (PBT or POM, etc.) apart, Yuemi is sufficient to meet the requirements from ordinary users. Disappointed by the TTC red switches? Think twice ! 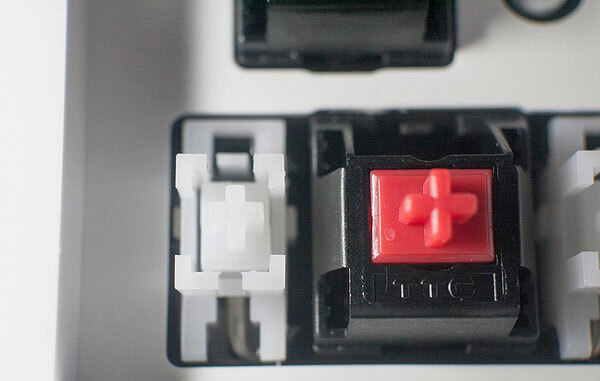 The TTC Red Switches can withstand up to 50.000 hits and is customized for gaming. The 32-bit ARM architecture ST Microelectronic master chip on board brags a 1000MHz refresh rate, 1ms response time and support for up to 11 key presses without contradictions. 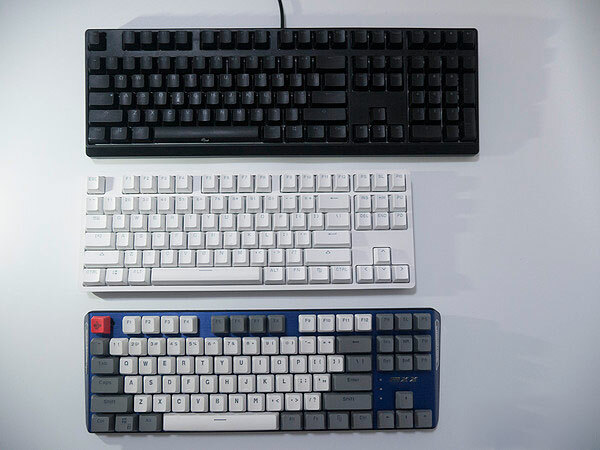 The comparison with Cherry red axis（G80-3800）, Squirrel red axis（2018S2 RGB）, Gateron red axi（MXX）says it all . 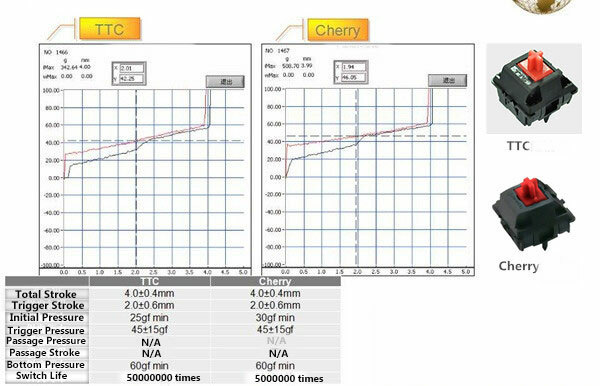 Initial Force : TTC > Squirrel > Cherry > Gateron Overall stroke (softness): Cherry > TTC > Squirrel > Gateron During the test, the hand-feel of TTC red switches strikes a balance between that of the Cherry and Squirrel, more towards the former. 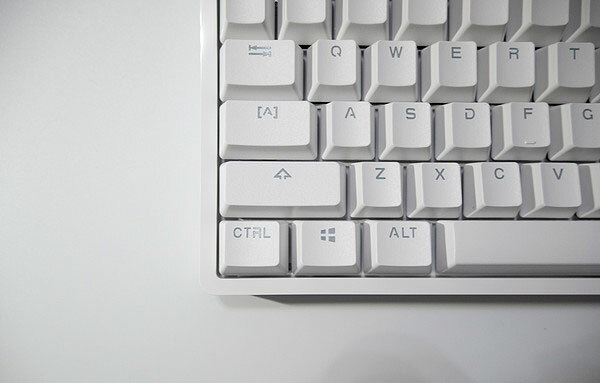 Besides the spacebar that delivers a mushy touch, other big keys remain consistent. Skip to the parameters. Instead of being transparent, the TTC red axis leverages Black ABS to present clearer printing. The classic ABS red axis arrangement of the 87 keys leads to smooth operation. Flow the finger up and down the key caps, you feel little to none friction in the process. 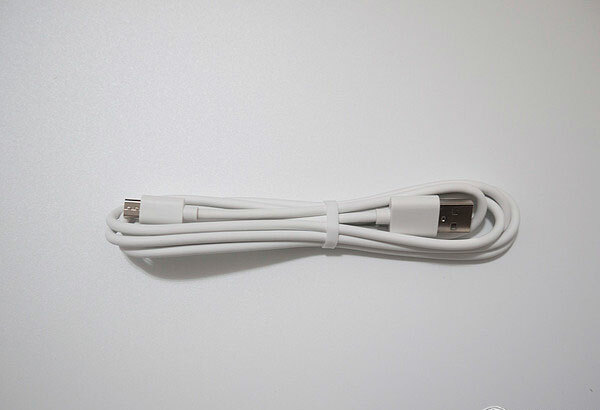 This exemplifies to the fine workmanship in any of XIAOMI`s countable kick-starts. 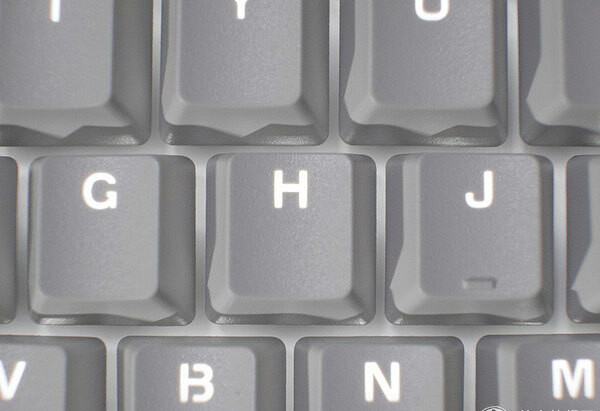 To proceed, satellite axis elements can be found on the processing of big keys,white but lucent. Especially the spacebar, black axis is preferred over red axis (this speaks to the mushy feel the spacebar gives). As we know, lighting fails to be the key strength of Yuemi, let along RGB. Light is sourced from SMD LED, welded in depth but miniature in dimension, despite which the 3528 LEDs are claimed to have a color temperature of 6500K and six-speed luminance. 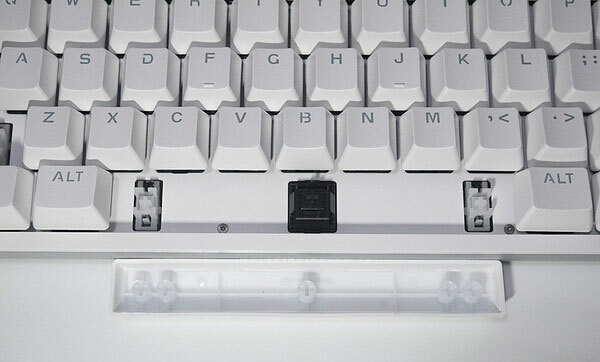 In addition, the Caps Lock, Scroll, and Win keys come with a two-tone orange and white back light. There are five modes for light adjustment. 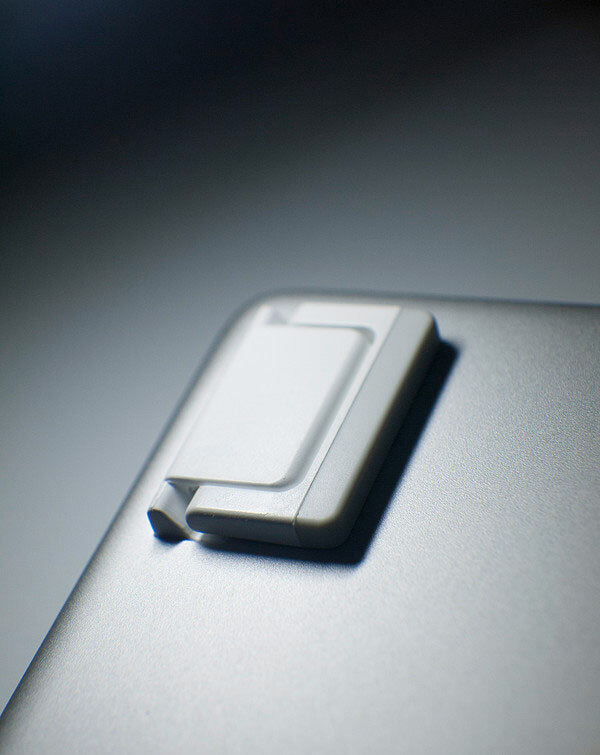 Feels like a vegetable, and yet when you click the orange Windows key, you will be stunned by the finishing touch – identifiability leveled up, relating you to XIAOMI Brand. 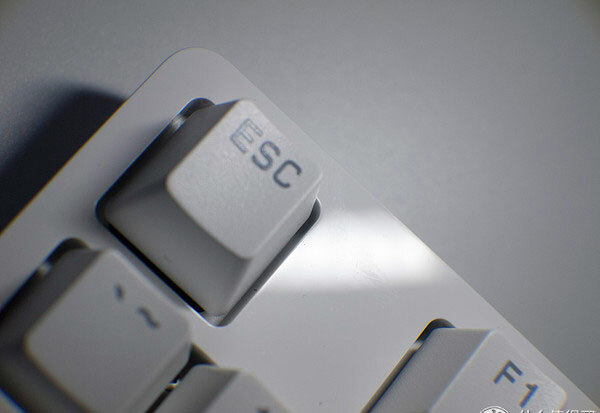 Therefore, the designer might be trying to fix the bug by means of the exclusive Windows Key lighting. Or perhaps, it`s just my whim. Still space left for improvement though, XIAOMI do seek to exclude light pollution in its march toward the early 21st century. Accessories Are we asking too much? A key cap drawing tool? Forget it. 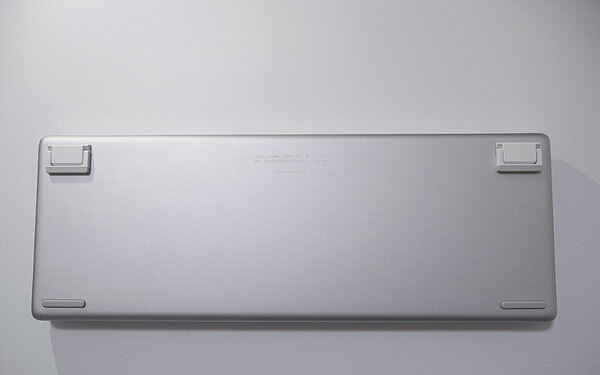 The keyboard is packed with a personalized dust cover which could stick to the curves. 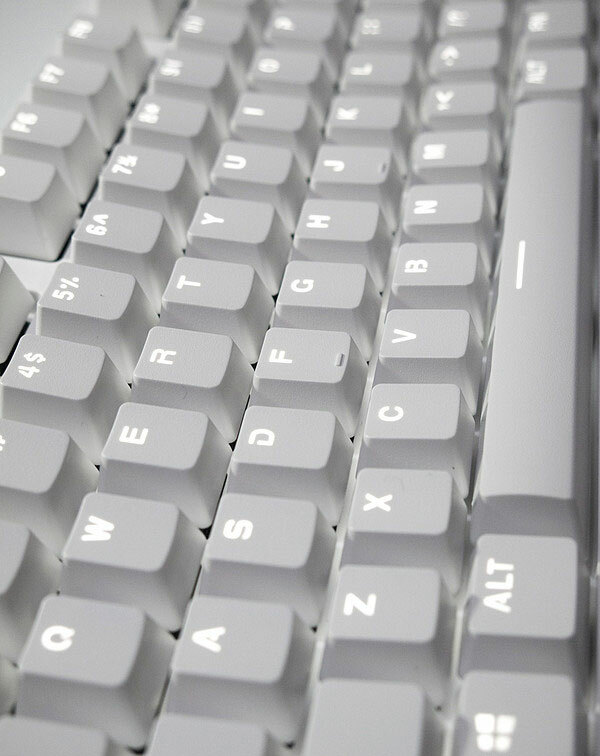 The rock solid built and backlit keys outfitted-Yuemi Mechanical Keyboard can be connected to any computing devices, so that it indeed calls for the price tag listed at Geekbuying. 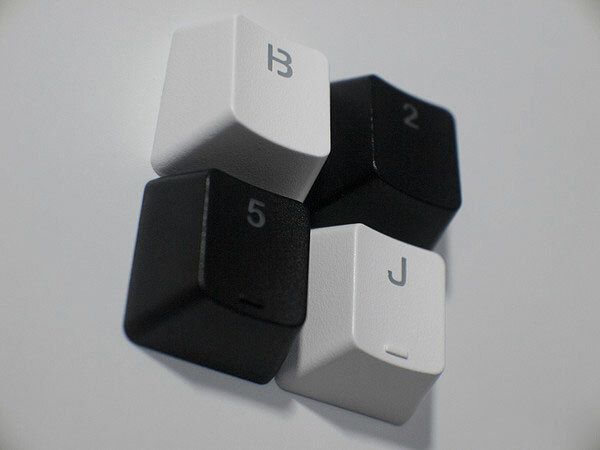 So to speak, there are still aspects to be optimized: A: The key caps, it`s hard to find a replacement. B: The fonts could be more cheerful, a sight for the sore eyes. C: Substitute transparent Axis cover for the none-transparent one. D: Light mode could be enriched.